When you show up in the moment you move in the world with high definition clarity and high voltage energy or as Cara puts it in this show — you’re plugged in and lit up. 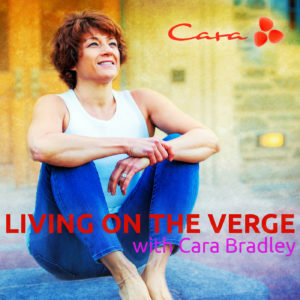 This week you’ll sit in on a session Cara presented to students in her Verge Yoga Teacher Training program. She talks about our natural state of Clear Mind, Bright Body, and Open Heart and how to use practices such as yoga and mindfulness as tools to get to know your naturally powerful way of being. Cara also passionately encourages you to put down your practices and get back to living life.